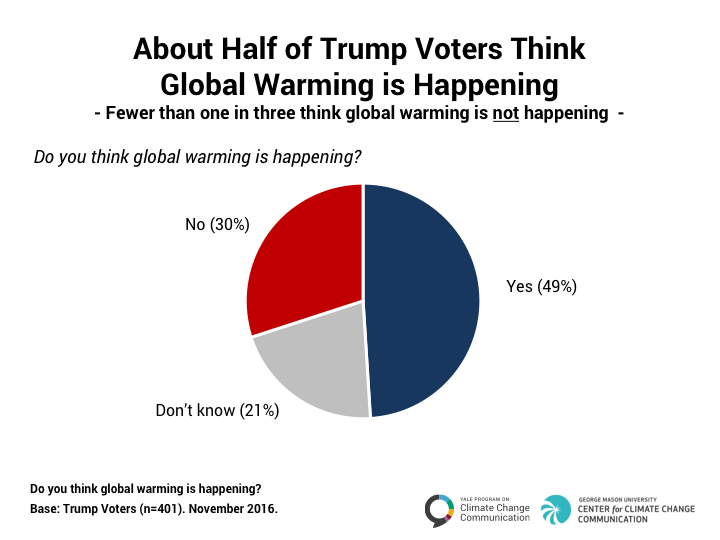 About half of Trump voters think global warming is happening. Nearly half of those who voted for President Trump think global warming is happening (49%). By contrast, fewer than one in three (30%) think global warming is not happening.